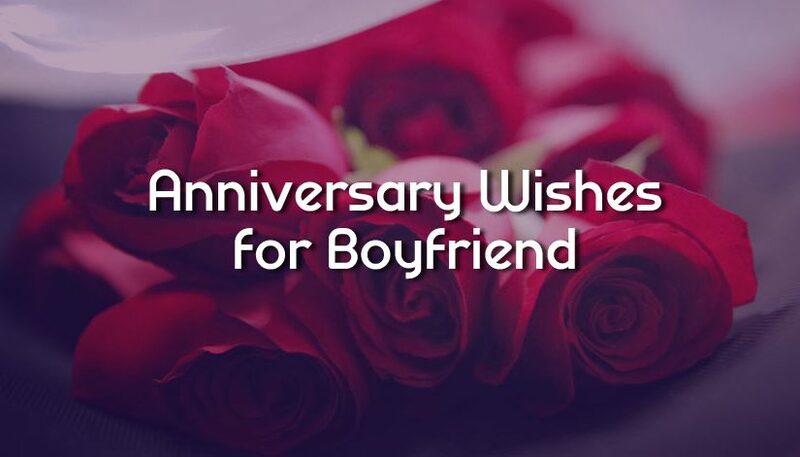 Anniversary Wishes For Boyfriend : There have been millions of lover about to celebrate their love and relationship anniversary after a successful long-term relationship. This is an wonderful time when two loving heart going to cherish their moment of first meet. It seems you’re also looking for some heartwarming anniversary messages for boyfriend or wishes to make him surprise on this happy moment. Here we have something special which will be a great way to celebrate your love anniversary with your beloved boyfriend. 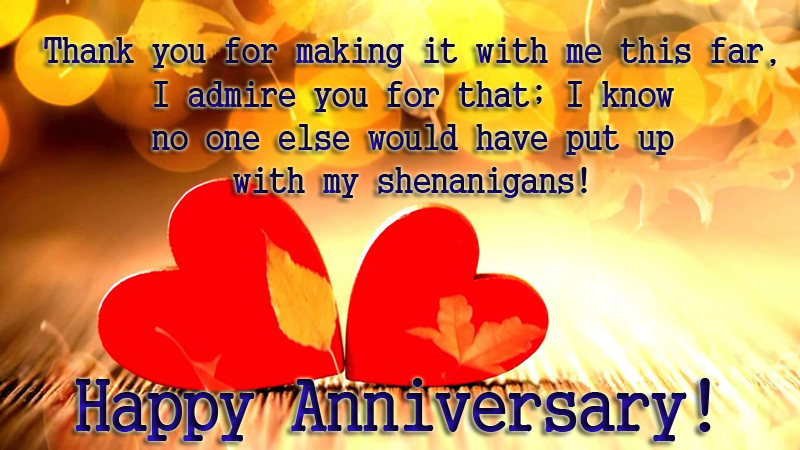 Just check out our compilation of happy anniversary messages where you will find some romantic, sweet and funny anniversary wishes which could melt him with deep affection of love. This is the day we joined our hearts in love. We promised to never leave each other & here we are!Happy anniversary, my love. Today is the day, when Cupid hit us both to pair us up and to bind us in an invincible bond. We will cherish our anniversary in the best way, today. Realizing that I am the reason behind your smile and the sparkle in your eyes makes me fall in love with you even harder. Happy Anniversary, Love. The warmth of your hugs and the power of your love have always given me strength to face all the negativity of this world. 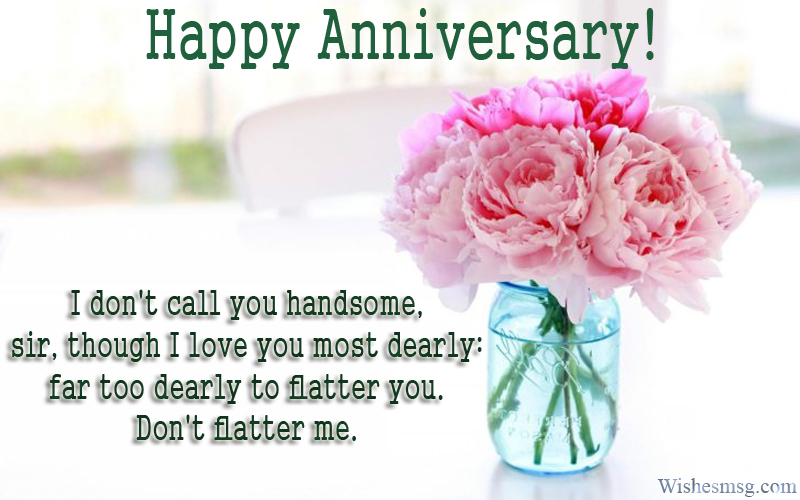 Happy Anniversary, Handsome! Your presence in my life tells me how blessed I am. You completed my life with your love. Thank you for coming in my life, love. I pray that my love makes your smile the brightest one. Happy Anniversary, my love. Never let go of my hand, always keep holding it tightly forever. Happy Anniversary, Babe. I don’t want anything from you this anniversary, other than a promise to always put every effort required so that we always stay together. I will never let ups and downs bring differences between us. I will do everything that is needed to stay together, forever. Every time when I witness a year of our togetherness has passed by, all the sacrifices seems worth it. Let’s celebrate the day you gave up on finding anyone better than me. Happy 1st anniversary! I love you with all my heart and so on this, the day of our 1st anniversary, I want to say you make me the happiest woman in the world to have your love. Today we meet our first year anniversary and every day we have spent together, we have seen our love grow more and more and it has filled our hearts with happiness, happy anniversary my love. Happy first anniversary to the hottest, cutest, and sweetest boyfriend ever. You rock my world! I will always remember the moment we became lovers. I can’t imagine my life without you since then. Thank you for the love and caring. I love you! Happy 1st Anniversary. What to do on our anniversary is a thought that excites me, but not as much as fondly remembering how it all started in the first place. Happy 1st anniversary my love! A year has flown by, and I didn’t even realize it. Is the rest of our lives together going to run just as smoothly? I hope so. Wishing you a very happy 1st anniversary darling. In the first year of our love, you’ve shown me all the good things that I’ve been missing all my life. Wishing us both a happy first anniversary! Time flies, but the moments we’ve spent together are ours and ours alone. Thanks for being in my life. Happy 1st anniversary! We have completed our 2nd year of togetherness. We did face a lot of ups and downs but I am happy that we conquered them all together. Happy Anniversary, Baby. With every year that passes by, I pray for our love to get even more deeper. Today, we have crossed another year, that was full of love. It may seem like a blink of an eye, but we actually have spent another year of togetherness so full of love, care and support. Thank you love for being there always! Every time I look into your eyes, I become amazed how your love for me has never changed and remained the same. Happy 2nd Anniversary, love. Our bond will only get stronger & deeper. And every year it will bring more reasons to fall in love harder with each other. Happy 2nd Anniversary to my love! Being loved by you is the most precious gift that I have received from life. Thank you for choosing me as your companion. Happy Anniversary, Love. The bond that kept us connected with love, is getting stronger as we pass each year. I wish this anniversary will make our bond stronger than ever. Just Hold me tight into your arms so that no negativity can touch me ever.This is all I want from you in this anniversary. We have accomplished dreams that we have seen together in the past. I will always be there so that you can achieve all your goals. Happy Anniversary, Love. If we can accomplish most of our dreams in just three years, imagine what we can accomplish in a lifetime! Happy Anniversary, Love. Getting the opportunity to share moments of my life with you, makes me feel the luckiest among all. I promise to cherish your importance life long. On our anniversary I promise to continue annoying you, because you look so cute when you angry! I love you. Happiest Anniversary dear! I am amazed by your strength, by your love; for putting up with my craziness all these years! 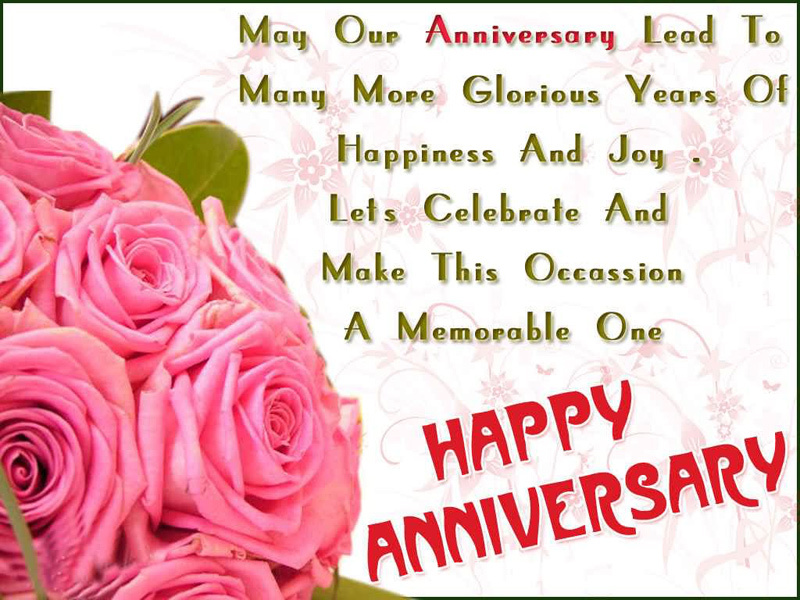 Wishing you a wonderful Anniversary. They say you will find love in every corner – it seems I’m walking in circles because there’s love everywhere since I’ve met you. Happy anniversary dear love! You’re a thief – you stole my heart. You are a hijacker – you hijacked my feelings. The police will soon be there – I’ll see you soon! I know I always annoyed you, but do you know the emotions I got from you, are more expensive than life. I should thank God who sent a person for me, I can annoy him for the lifetime. You are the perfect partner for me I love you. 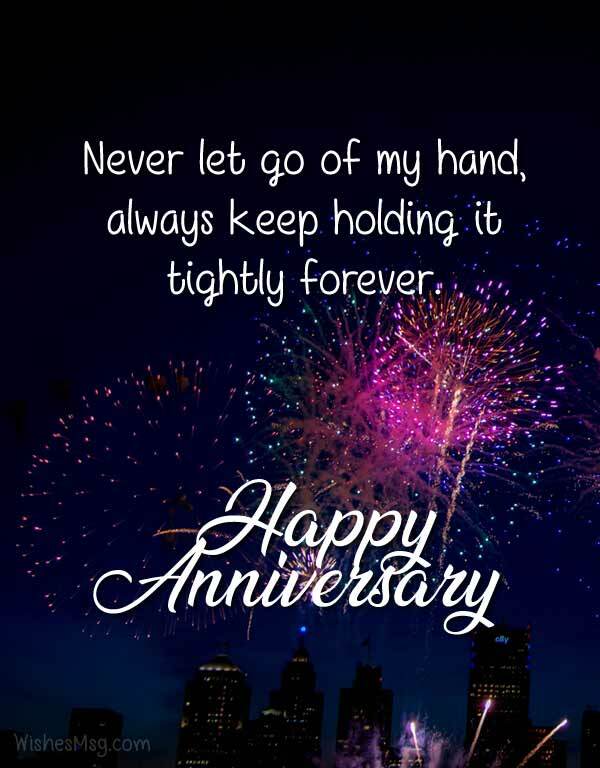 Dear, congratulations on your anniversary, we hope that you have enjoyed all these happy anniversary messages and wishes for boyfriend along with relationship anniversary quotes. Wishing you be happy everyday and a life full of love!